RK is proud to have worked on the new head office for Pembina Pipeline Corporation in Grande Prairie, Alberta. 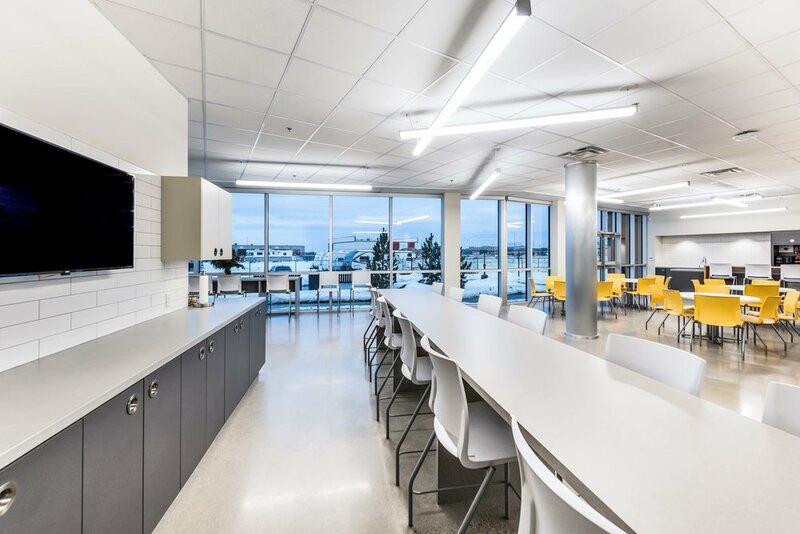 Their new contemporary office features lots of open concept and flexible, adaptable spaces that can expand or contract for various uses. The corporate brand is built into multiple facets of the design, such as full-wall project photography, exposed piping in Pembina red, and corporate signage. RK was also responsible for the architecture. Click here to view project.